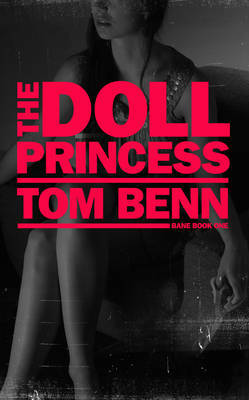 THE DOLL PRINCESS by Tom Benn is the first in a projected series about Henry Bane. The novel opens in summer 1996, shortly after the IRA bombing, a time of great change and modernisation for the city. Bane is the "muscle" acting as enforcer for a gangster's loan-sharking business. But despite his line of work, Bane does have a heart and a conscience. When he reads the local paper, the Manchester Evening News, he is devastated to discover that the body of his childhood sweetheart, Alice, has been founded dumped near the McVitie's biscuit factory and that she had been working as a prostitute. The murder of a wealthy young Egyptian heiress Safir is on the front page; the media and powers that be are showing rather less interest in Alice's death than Safir's. So Bane decides to go back to Wythenshawe (Wythie), and the bleak streets where he grew up, to find out more about how Alice ended up in this situation, speaking to Alice's friends and pimp, Den. Bane takes us on a journey through the seamy side of Manchester, both its glitzy restaurants and night clubs founded on dirty money, and backstreet drug dens and brothels, as he investigates the fate of Alice and Safir, and meets the aloof Doll Princess of the title. Bane encounters undercover police officers, and a particularly vicious bunch of criminals involved with arms smuggling and human trafficking from Eastern Europe as he tracks Alice's and Safir's last days. THE DOLL PRINCESS is a very assured and well written debut, fitting neatly into the urban noir category, with an appropriately ambiguous hero/anti-hero in Bane. Benn's 1990s era Manchester rings very true, especially the sort of conversations that take place in, and the ambience of, the dingy pubs and cafes frequented by his hero. Benn is particularly strong on local vernacular and dialogue. He also writes some very moving scenes about Alice and about Bane's friends and family, in particular Alice's funeral. I would have liked to have seen more of these prosaic scenes, exploiting Benn's gift for voice, as a counterbalance to the violent gangsters. I look forward to seeing further books in this series, and how the character of Bane is developed.